Microblogs and social media platforms are now considered among the most popular forms of online communication. Through a platform like Twitter, much information reflecting people’s opinions and attitudes is published and shared among users on a daily basis. This has recently brought great opportunities to companies interested in tracking and monitoring the reputation of their brands and businesses, and to policy makers and politicians to support their assessment of public opinions about their policies or political issues. A wide range of approaches to sentiment analysis on social media, have been recently built. Most of these approaches rely mainly on the presence of affect words or syntactic structures that explicitly and unambiguously reflect sentiment. However, these approaches are semantically weak, that is, they do not account for the semantics of words when detecting their sentiment in text. In order to address this problem, the author investigates the role of word semantics in sentiment analysis of microblogs. Specifically, Twitter is used as a case study of microblogging platforms to investigate whether capturing the sentiment of words with respect to their semantics leads to more accurate sentiment analysis models on Twitter. 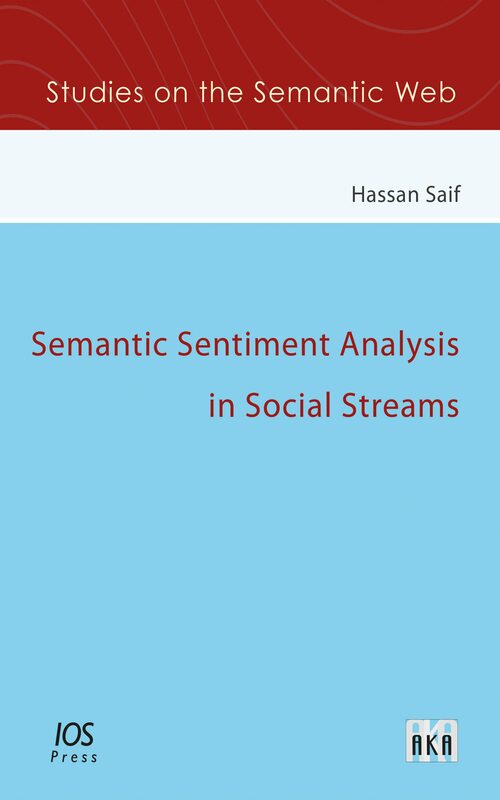 To this end, the author proposes several approaches in this book for extracting and incorporating two types of word semantics for sentiment analysis: contextual semantics (i.e., semantics captured from words’ co-occurrences) and conceptual semantics (i.e., semantics extracted from external knowledge sources). Experiments are conducted with both types of semantics by assessing their impact in three popular sentiment analysis tasks on Twitter; entity-level sentiment analysis, tweet-level sentiment analysis and context-sensitive sentiment lexicon adaptation. The findings from this body of work demonstrate the value of using semantics in sentiment analysis on Twitter. The proposed approaches, which consider word semantics for sentiment analysis at both entity and tweet levels, surpass non-semantic approaches in most evaluation scenarios. This book will be of interest to students, researchers and practitioners in the semantic sentiment analysis field.